As is often the case, I'm confused. The other day while driving home, I noticed someone had replaced part of their fence. 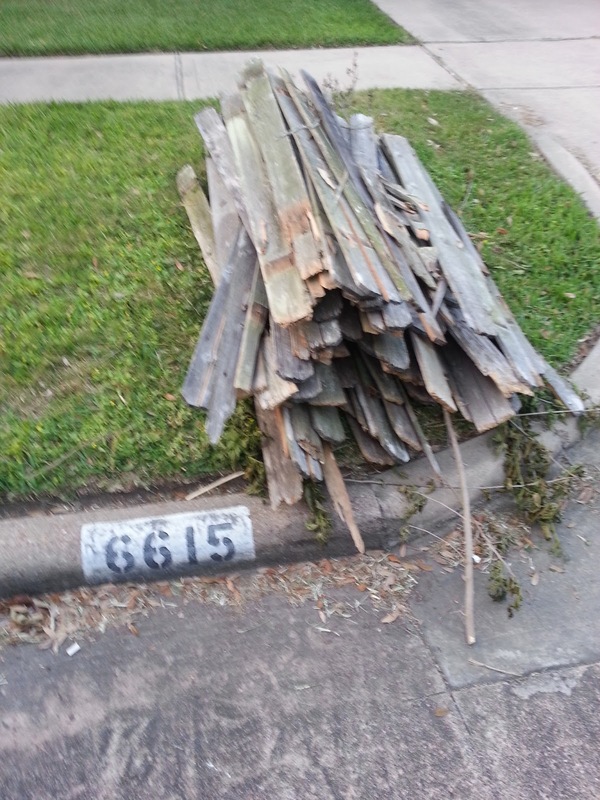 The old, slightly "experienced" fence boards were stacked by the curb awaiting heavy-trash day. Sensing an opportunity and acutely aware of the limited cargo capacity of my Volvo, I rushed home to change clothes and retrieve the truck. My kids were somewhat shocked that I was going to drive up to a stranger's house, knock on their door and essentially ask if I could have their trash. I've done some brazen things in the past (like sending a press release to the CEO of a company I want to work for announcing them hiring me with the CEO quoting how awesome a hire I was) but THIS surprised them a great deal. I was peppered with questions about what I would say, how they might react, what if they got mad, etc. After an uneventful exchange with the owner of the garbage and a polite warning to be careful since there were lots of nails in the lumber, I loaded up the truck and drove home. I've known my wife for 22.5 years. Over the course of our relationship, I've learned that there are some topics best to avoid. Examples include (i) the cost of rifles, (ii) potentially dangerous situations in which I insert myself from time to time and (iii) when I bring home a truck load of someone else's junk. The 8 year old, not having experience in the avoidance of such matters, announced to mom "Dad went up to a stranger's house and took their garbage!" Now, do I get credit for being an urban recycler and friend of the environment? No. 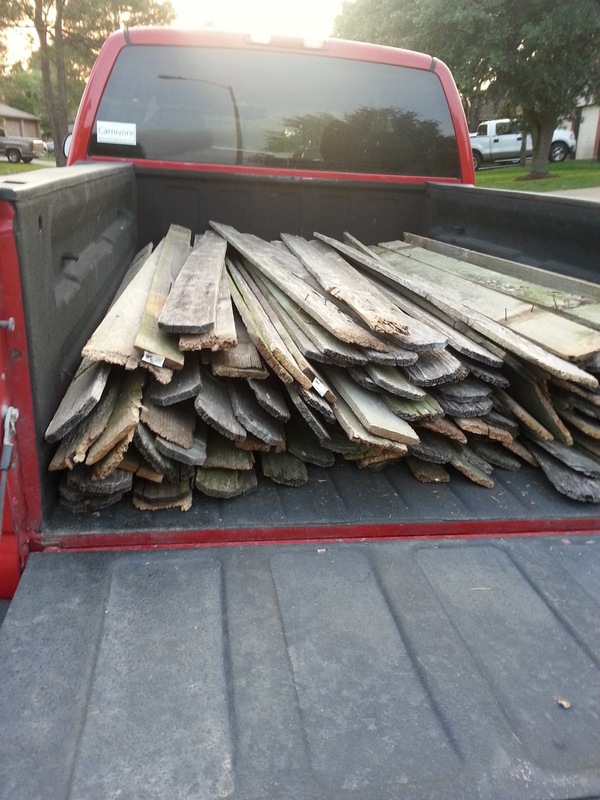 Do I get kudos for saving a buck by not having to buy supplies for a deer stand I plan on building in the next month? No. I get a bunch of guff about "digging in other people's garbage" and painting a Sanford and Son sign on the door of the red truck. And bad Deanna! She "recycles" -- you're just recycling bigger stuff! Of course I understand completely what you were doing and why. Makes perfect sense to me. But then -- I'm a guy.